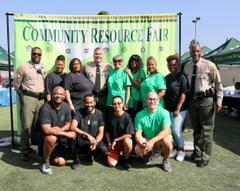 The Commission for a Better Compton, in conjunction with Compton Sheriff’s Station, hosted the 1st Annual Community Resource and Career Fair. 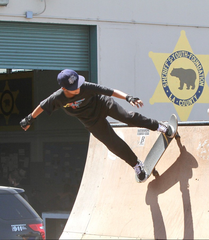 On September 8, 2018, at the Compton Youth Activities League, 700 N. Alameda St., Compton, from 10:00 A.M to 2:00 P.M., approximately forty eight organizations and institutions have committed to having representatives at the Youth Activity League for a Career and Resource Fair. The event was an invaluable occasion to learn about new job opportunities and how to prepare for a job interview. There were representatives from several institutions of higher learning, to provide information and direction for college preparation along with numerous opportunities to learn about the resources available within the community. 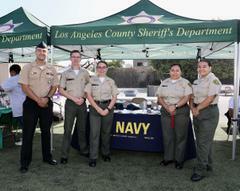 United States Marine Corps, CA Community College to HBCU, Compton Community College, Faith Tutoring and College Prep, Los Angeles Southwest College, Union Institute and University, LA Regional Human Trafficking, Restoration Diversion, Compton Career Link Resource Center, Compton City Fire Department, Los Angeles County Sheriff’s Department, Peopleready, Perfectly Packaged You, Rancho Dominguez AJCCY@W, The Plug So. Cal, US Marshals Service, American Red Cross, Designated Exceptional Services, Crystal Stairs Inc., JFCS of Long Beach, Mama’s Neighborhood and Harbor UCLA, St. John Well Child and Family Center, Tic Tok, Bureau of Alcohol, Tobacco, and Firearms, California Highway Patrol, Community Lawyers Inc., LA County District Attorney VOC, City Pride Magazine, Compton Block Club, Compton Initiative, Compton Latino Chamber of Commerce, CASA/LA, Masada Homes, Paparazzi Jewelry, Wells Fargo Bank, Records and ID – Sealing Unit, Hub City Radio, Workforce, LA County Probation, Compton Unified School District, Southbay WIB, Best Buy, Tiff’s Power House, Flourish, Pepperdine University, and Greater Zion Church. If you would like more information about this event or the YAL Sheriff’s Youth Foundation, contact Compton Sheriff’s Station at (310) 605-6500.